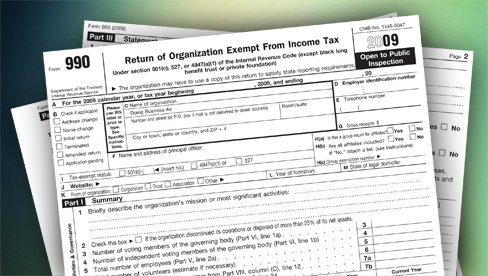 In 2010, the IRS has begun revoking the tax-exempt status of nonprofit organizations that failed to file a Form 990/990EZ or 990N for three years. A large number of these organizations were small nonprofits that were not required to file an annual Form 990 because their gross revenues were $50,000 or less and many didn’t know about the new IRS requirement. If your organization has not filed any of the 990/990EZ/990N forms for three years, it is likely your tax exempt status was revoked. Don’t panic. The IRS has a procedure to get your tax exempt status reinstated. 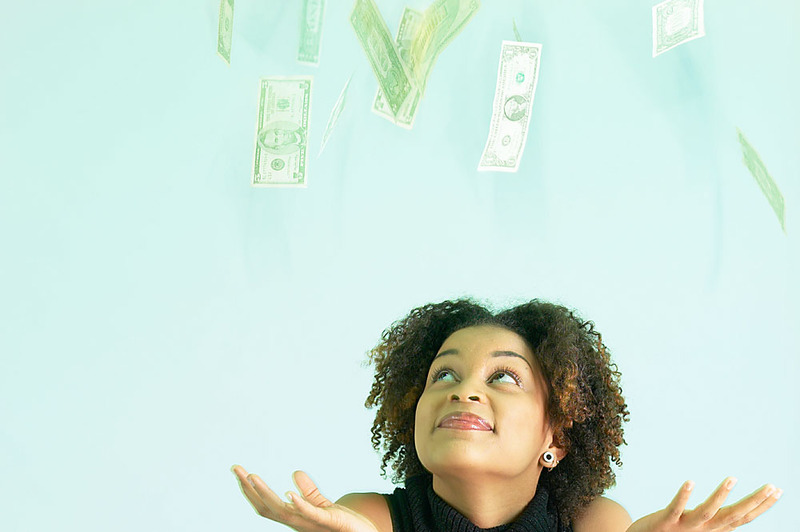 It involves paperwork (the IRS loves paper) and filing fees of $275 or $600. Here’s a flowchart I designed to explain the IRS procedure in pictures. We need help getting through this! I can help. I offer a phone consultation with your board or leaders to discuss where you are, what options your have what it will cost to get your tax exempt status reinstated. Contact me to set up a phone call. It’s helpful to me if you fill in this Questionnaire. Consultation by phone $85 per hour. Prepare Form 1023: (for organizations not eligible to use the shorter Form 1023-EZ) Includes verifying that your organizing documents fulfill the IRS requirements. I no longer prepare this form, but I can refer you to a CPA who can assist you. I no longer prepare the Form 990s, but I can refer you to a CPA who can assist you. Did you just hear the shocking news that all nonprofit organizations have to start filing annual returns with the IRS? You may be wondering, “What changed? We never had to file anything before!” And you’d be right. The organization was large and just not filing a return with the IRS. IOW, they were not playing nice and the IRS didn’t like that! The IRS found some nonprofits are not following the rules and (gasp!) complained to Congress. Congress passes the Pension Protection Act in 2006. 2. All tax-exempt organizations that didn’t file an information return for three consecutive years will automatically lose their tax-exempt status. I call it the “3 strikes and you’re out” rule. 2006: Pension Protection Act requires annual electronic notice from all small nonprofits. 2007, 2008, 2009 were the first years that the annual notification requirement was in place. 2010: The first automatic revocations take place. The “3 strikes, you’re out” rule. Word about the new required annual filing has been slow to get out. After all the IRS doesn’t have a big marketing budget. They sent letters, created press releases and even created a YouTube video, but a lot of small nonprofits were still in the dark. Slowly, a lot of small organizations learned that their tax exempt status had been revoked and they didn’t even know about it! I guess the IRS got an earful of complaints because they (finally) created a system where small nonprofits could get their tax exempt status reinstated. 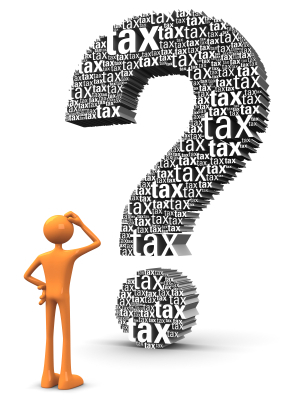 The process is outlined in IRS Revenue Procedure 2014-11 that came out in January 2014. Yes, that’s 2014. Eight years after the whole reporting requirement was enacted by Congress. We never claimed the IRS was speedy, did we? The IRS loves paper and so the Rev Proc 2014-11 requires nonprofits to send the IRS a lot of paper. They have to file the rather long Application for Tax Exemption (Form 1023 or 1024) and probably file their annual information returns (Form 990) way back to 2008. I’m not quite sure what’s streamlined about this, but I guess to a turtle, a snail is speedy! So that’s why you are wondering if the IRS has some sort of new reporting requirement. It’s not really new, it’s 8 years old, but maybe you’re just now hearing about it. Brush up on the Form 990N and start filing it now! Search the IRS list of revoked organizations to see if your nonprofit is listed there. Read Rev Proc 2014-11 if you like reading IRS jargon to see what paperwork you need to file with the IRS to get your tax exempt status reinstated. Or better yet, arrange a phone call to talk over your situation with me, HomeschoolCPA, Carol Topp. 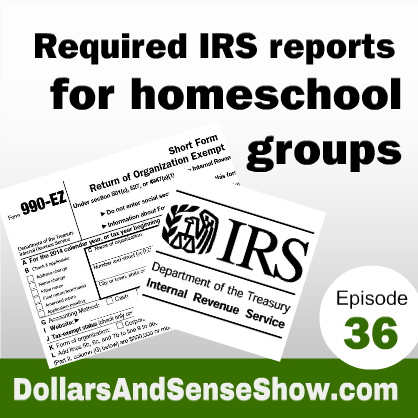 I’m pretty good at understanding homeschool organizations and can help you know where you stand with the IRS and what to do next. Thanks to Peter B. Nagel over at http://www.cobar.org/index.cfm/ID/20108/subID/26452/CORP for providing the history of the IRS rules. A short video on annual IRS filings for homeschool organizations. I explain the annual IRS information return, Form 990. Once you file a support group as a 501(c)(7) social club, does the group have to file this exempt paperwork every year? An organization applies only ONCE for tax exempt status. But, tax exempt organizations must file an annual reporting of their continued existence, Form 990/990EZ or the online 990N every year with the IRS. It’s a little like passing your drivers license test once, but you must renew your license every couple of years. Most homeschool organizations file the online 990N and not the longer 990/990EZ because their annual gross income is under $50,000. Additionally, some states require annual filings as well. Visit Hurwit and Associates to see what your annual filing requirements in your state might be. Pick your state in the drop down menu on the right sidebar. Two local CPAs we’ve talked with are confused about the $5,000 threshold that you speak of. They talk of a $25,000 threshold. They both seem to think we don’t need to do anything if we are under $25,000. Can you explain? The $5,000 threshold is the threshold for filing a Form 1023 application. IOW, if your gross income is under $5,000 you do not have to file the application; your group is automatically tax exempt. The $25,000 that the CPAs mentioned is an old figure. It was raised to raised to $50,000 in 2010. I am quickly learning that even if you are under the $5,000/year threshold the IRS expects all nonprofits to be filing the 990N every year. I’ve had several nonprofit clients that failed to do this and it is holding up their tax exempt status approval. The rules changed back in 2010 and the IRS is enforcing them! Many homeschool organizations that have tax exempt status are small enough they do not have to file any tax forms with the IRS. And now new IRS guidelines mean even more groups are free from IRS filing requirements! Small exempt organizations can file the simple Form 990-N, the electronic postcard, instead of the longer Form 990-EZ or Form 990. For tax years beginning on or after January 1, 2010, exempt organizations may file the e-Postcard if their annual gross receipts were not more than $50,000. The previous filing threshold was annual gross receipts of no more than $25,000. Gross receipts include every dollar your organization brings in, even if it goes out immediately too. The e-Postcard is an electronic notice filed at http://epostcard.form990.org. Need help determining your gross receipts? Send me an email and we can arrange a private consultation over the phone. Email me here. If your tax exempt homeschool organization needs help filing their Form 990EZ or Form 990, I can help. Read more here. 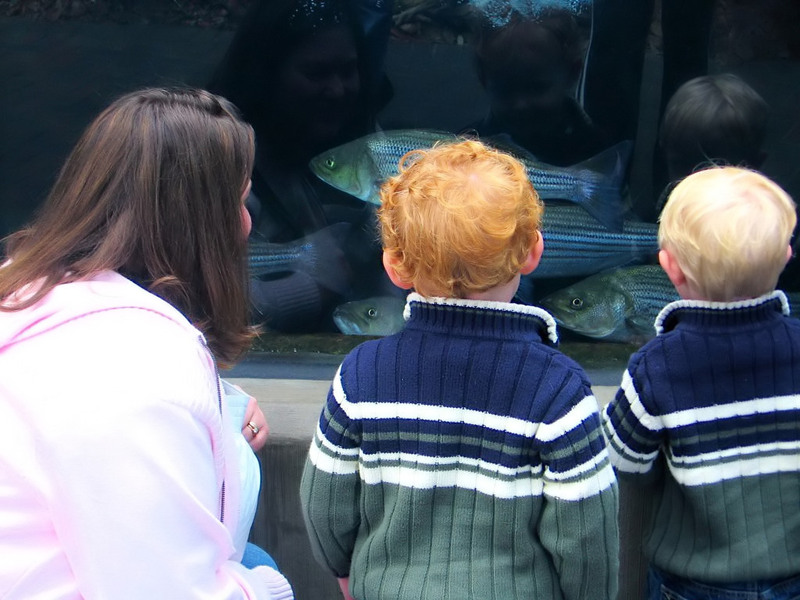 Would your homeschool group benefit from being tax exempt? Find out by reading my articles on the pros and cons of tax exempt status.